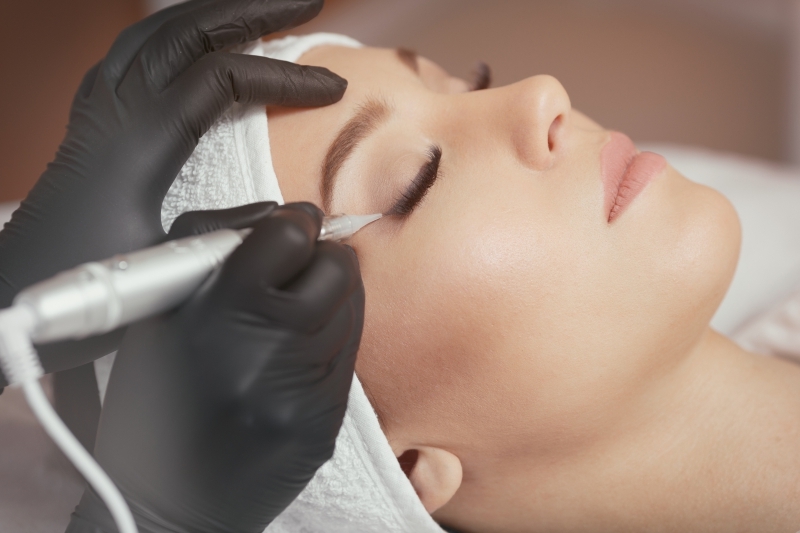 Whether you want to achieve flawless beauty or make your morning beauty routine quick and effortless, a permanent makeup application is an ideal solution. At Celebrity Lash and Brow Design, we’re Glendale’s premier beauty studio specializing in cosmetic tattooing for eyes. With permanent eyeliner, you can wake up looking gorgeous and skip the hassle of having to apply eyeliner in the morning, and then reapplying later on. Contact us today to arrange a consultation with our skilled and experienced licensed estheticians, and find out why we’re Glendale’s favorite beauty studio. Why Choose Celebrity Lash and Brow Design for Permanent Eyeliner? Friendly, welcoming, and comfortable environment. Nearly 30 years of combined experience. Minimally invasive cosmetic tattoo procedures that deliver lasting results. We customize each permanent makeup application to meet your needs and goals. Precise applications with the highest quality pigments. Natural-looking applications to compliment your naturally beautiful features. We stay up-to-date on new procedures and techniques. We’re Glendale’s Top Rated Local® Beauty Studio. Do you wake up every day wishing you could just roll out of bed with a beautiful makeup application that lasts? With permanent makeup, you can. At Celebrity Lash and Brow Design, we specialize in a wide range of permanent and semi-permanent makeup applications, including permanent eyeliner. Whether you’re simply tired of having to apply eyeliner every morning, only to have it wear away by the end of the day, or you have thin, light, or sparse eyelashes, permanent eyeliner is a wonderful solution that delivers long-lasting results. A permanent eyeliner application means you can skip the tedious process of trying to apply a flawless line or perfectly pointed wing each and every morning. What’s more, permanent eyeliner can create the appearance of a naturally fuller lash or dramatic look that lasts day-in and day-out. Ready to take your natural beauty to the next level? Don’t spend time searching “permanent makeup near me” when your Top Rated Local® beauty studio in Glendale is just a click away. Contact Celebrity Lash and Brow Design to book a consultation with one of our permanent makeup artists and discover the benefits of effortless beauty!